1 – DANIEL CAESAR – Freudian – Sorry OVO but the next big star out of Toronto won’t be on Drake’s hit making label. 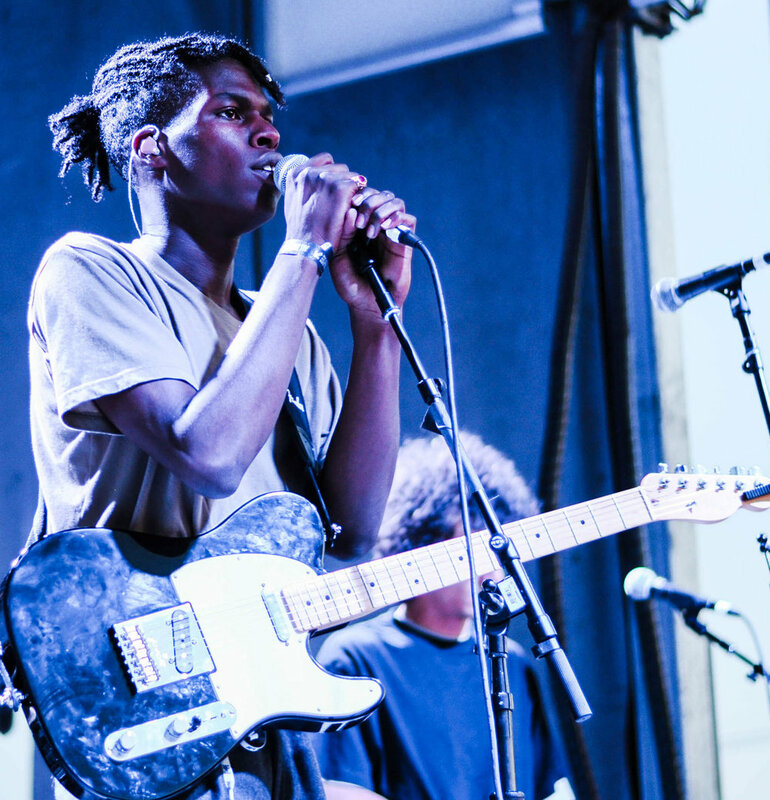 He’s Daniel Caesar, and we’ve had our eyes on this smooth singing soul star for years. NXNE was proud to present a relatively unknown Caesar in 2016 but with two Grammy nominations and a killer debut disc, he’s not a secret anymore. 2 - ST. VINCENT, Masseducation – St. Vincent’s Annie Clark is well on her way to superstar status with her consistently impressive and challenging art rock. She’s an amazing live performer, her 2014 sets first at SXSW and then at NXNE were two of my live show highlights of that year. Clark enlisted production ace Jack Antonoff, who played NXNE 2017 with his awesome band Bleachers, to create an irresistible, beat blasting aural attack. 3 – KENDRICK LAMAR, Damn – Kendrick Lamar was already too big to be an opener when he took the stage in support of Kanye West’s somewhat insane 2013 Yeesus tour and Lamar’s ascension hasn’t slowed a bit. He’s back, a little angrier but just as essential with 2017’s Damn. 4 – SZA, Ctrl -- Languorous, luscious soul-infused rap from by rising star Solana Gugu Rowe, SZA. After a few promising EPs, SZA’s 2017 debut full disc is a rich and rewarding ride through beat-rich soul sounds. 5 – IBEYI, Ash – Paris-based twin sisters Naomi and Lisa-Kiande Diaz create the kind of beautiful harmonies that only siblings seem capable of. Daughters of the late, Grammy winning Buena Vista Social Club percussionist, Anga Diaz, it’s no surprise that haunting rhythms are at the core of this lush sound sung in English, French, Spanish and Yoruba with plenty political punch. Ibeyi’s 2015 set at NXNE was a highlight of the festival and 2016 NXNE Alumni Kamasi Washington helps out on this excellent release. 6 – ARCADE FIRE, Everything Now – Sure, at one time, critical darlings, Montreal’s Arcade Fire seemed incapable of a making a misstep. Now, not so much. Perhaps they were a little -- pick one -- precious, cocky, arrogant, over-confidant, tone deaf, on how they rolled out their latest release and the under-attended tour that promoted it. But Everything Now is a great disc from a band that still powerfully and poetically pushes boundaries. 7 – CURTIS HARDING, Face Your Fear -- Soul-sational song stylings is an excellent follow-up to his 2014 Soul Power debut. His recent Toronto gig at Velvet Underground was a stunner. This talented singer has worked with Cee Lo Green on backup vocals and songwriting and has also collaborated with edgy Atlanta noise rockers, the Black Lips. Maybe even better than Leon Bridges in the Soul Olympics. 8 – JACKIE SHANE, Any Other Way – Fantastic that amazing transgender music pioneer Jackie Shane is finally getting the praise she deserves. Shane left her US home and became a soul singing sensation in Toronto’s Yonge Street area clubs in the 60s. This remarkable collection of re-releases and previously lost tracks makes me think pre-British invasion Toronto was way cooler than I thought. 9 – ALVVAYS, Antisociallites – Bright and jangly power pop with a subtle edge. A hook rich feast that highlights lead singer Molly Rankin’s great vocals. This East Coast bred-band made their Toronto debut at a 2014 NXNE Mod Club gig. 10 – THE SADIES, Northern Passages – One of Canada’s most consistent music makers, a great collection of country-surf-punk, a chaotic, compelling collision of influences.